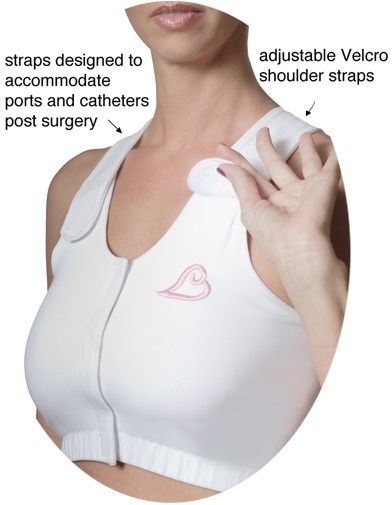 • Post Surgical Compression Bra/Vest: Post surgical after catheter is placed the strap help hold in place as the design strap width and position. Also provides easy access for treatment. Giving Dignity due to Velcro lift up strap.The front opening and straps allow for patient to apply and wear with confidence and Comfort.